Justin: Honma sadly suffered a severe spinal injury last weekend off a botched draping DDT. Word is he is slowly regaining feeling in his arms and legs but it's still a very scary situation. I'll be relieved as long as he is able to walk again. As for Nagata, I think he'll probably beat Roa but fall to either Evil or Tanahashi in the second round. Landon: I like Yuji Nagata. He's the last of the third generation guys who could believably have a singles program or title run. Definitely a solid guy to be a replacement. Looking for him to beat Roa in the first round and lose to the winner of Tana/Evil. Justin: Roa's losing to Nagata. Justin: Elgin is a potential winner. He'll have a really fun big man match against Fale and eventually make the finals I think. Whether or not he wins the whole thing, this tournament should be a big moment for Big Mike. Even in a finals loss he'll be poised to make a run at the main event scene again. Landon: I think the Intercontinental title is not Elgin's to gain anymore, and this tournament could be where he gets set on the path to an IWGP heavyweight title match. Although an idea runs through my head where he could run through three Bullet Club members to get to the finals. But that idea is much better in theory than in practice. Justin: If he makes it past Elgin I'll be shocked. And kinda pissed. He's in this tourney to make Mike look good in the first round. Period. Landon: I mean it’s Fale. Quarter Finals at best. Justin: The usual comedy stuff from Yano. No way he survives the first round. Justin: Tonga could have a nice little two-match run with a decisive win over Yano and a show stealing match against Elgin where he looks good taking the loss. Tonga may make a star of himself yet. Landon: …but I don’t WANT to see him beating Tama Tonga. I think that Tama has the potential to break out from the midcard mire as a member of Bullet Club, and a good showing in the Cup could bring that out in him like the G1 last year didn’t. Justin: Shibata has to be one of the favorites to win this thing. He's all done with the NEVER Title, which means he's moving up the card. I'd love to see Okada vs. Shibata for the big belt in April. At some point Shibata should get a run with the Heavyweight Title. Probably not in 2017, but perhaps next year. This could be a great step toward that end. At any rate I think either he'll get past Suzuki (after delivering a potential MOTY candidate), or it'll be such an insane war they knock each other out of the tournament. Landon: I think if he can get past Suzuki he’s the favorite to win the whole thing. Shibata-Okada would probably be the better match than Shibata-Naito, though the idea of him challenging Goto for the NEVER Openweight title stands out. I do not, however, expect him to leap that Suzuki hurdle. It’s a shame. 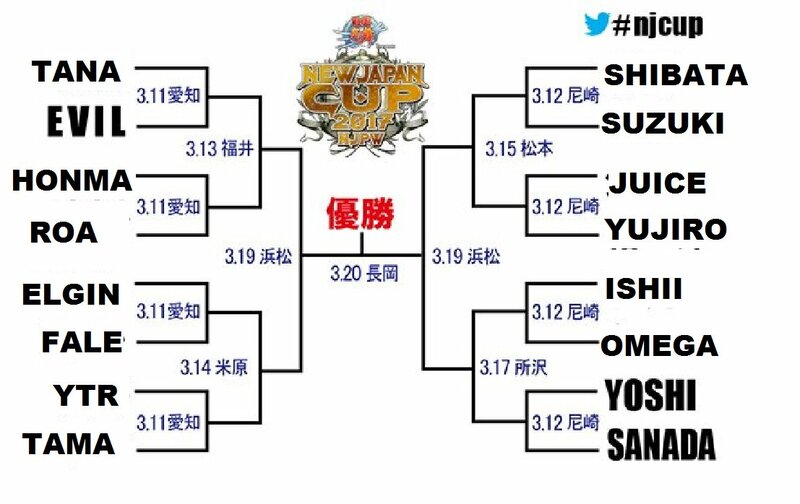 Justin: Putting Shibata vs. Suzuki in the first round is just so odd to me. This match could co-headline Sakura Genesis, and I guess it's likely to do that. As I said, I could see this going to a draw, setting up a rematch next month. But either of these guys could reasonably win the tournament too. Landon: I just like Suzuki too much. I don’t want to see him lose to Shibata, I also don’t want him losing to Ishii or Omega, BUT I don’t think he should win the Cup. Suzuki is just…beyond anything not a title match, or an important singles match. I guess a draw would be the best case scenario for these two. Justin: Juice is on the rise after a solid showing at Tokyo Dome and a good NEVER match with Goto. 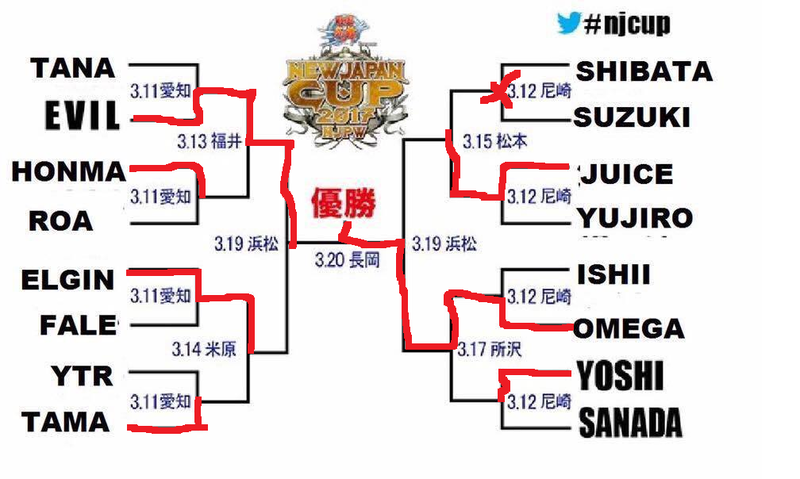 If Shibata-Suzuki goes to a draw that would likely give Juice a bye into the semis, which elevates him in a roundabout way. He's not getting to the finals though. Landon: Juice is over with me now, after the Dome and the NEVER match. If the previous match isn’t a draw, Juice is gonna die for Orlando. Justin: Takahashi is fodder for Juice. No more, no less. Landon: I’ll get into why I don’t like Yujiro in greater detail one day. Justin: One of the company's MVPs is biding his time as a Tag Team Champion until another singles push comes his way. 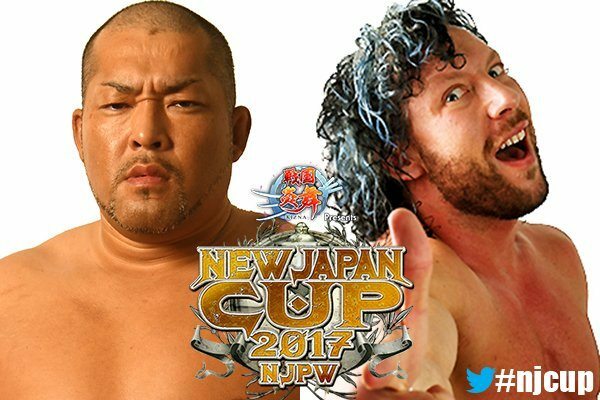 Ishii is a longshot tournament winner, should he survive his match with Kenny Omega. Regardless, this is probably gonna be the best match of the tournament. Again, it's a first-time-ever match that's in the opening round. Really odd. Landon: Ishii is here to have a great match with Kenny. Why here? Why first round? Hell if I know, but we’re getting it. Super pumped. Justin: Kenny has to be the odds-on favorite to win the whole thing. Okada-Omega II is obviously going to happen this year, it's just a matter of when. I'd save the bout till at least Dominion (if not WrestleKingdom 12), but I wouldn't be a bit surprised if he takes the Cup and gets his rematch at Sakura. Landon: Omega wins, Omega hits the Sephiroth on Okada for the title, Okada gets the belt back at Dominion. We’ll see. 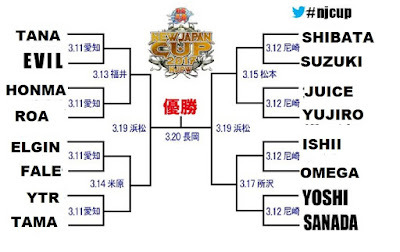 Justin: Yoshi and Sanada are interchangeable in this tournament. One of them has to win the first-round match, but he will not be advancing past the second. Landon: The continuation of the mini-feud from last year. It’s gonna be an okay match, probably not more than 12 minutes, and the winner falls to Omega. Moving right along. Justin: See above. Personally I'd pick Sanada to win in the first round, since he's got way more upside than Yoshi right now. Give him a decisive win and then feed him to either Omega or Ishii. Landon: Yeah, I think YOSHI/Omega 2 is in the future more than Omega/SANADA. I agree SANADA has more of an upside, but here? I dunno. Justin: I think the likeliest Finals matchup has to be Michael Elgin vs. Kenny Omega. Omega's going to be the Champion at some point in 2017. There's no question about that. So him winning the tourney makes the most sense, but Elgin's such a hot commodity I could see him pulling an upset. Either way he deserves to be in the Finals and he'll look great even if he loses. I'm gonna be adventurous and say Elgin shocks the world and wins the Cup, then challenges Okada at Genesis. Meanwhile Omega gets a big win either at that show or Dontaku, thus catapulting himself back into contention for Dominion, where he finally beats Okada for the strap. Justin: I can't wait to see Shibata vs. Suzuki (which hasn't happened since 2004 I believe), and Omega vs. Ishii (which hasn't happened ever). Those are the top two, followed by my Finals prediction of Omega vs. Elgin. 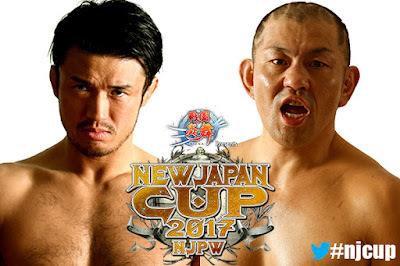 Well that's our take on the New Japan Cup. Should be a helluva fun tournament with some potential MOTY candidates. 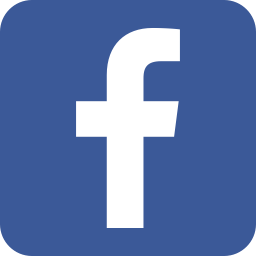 Comment below, and thanks for reading!